The fertile volcanic soils support extensive agriculture, with vineyards and orchards spread across the lower slopes of the mountain and the broad Plain of Catania to the south. 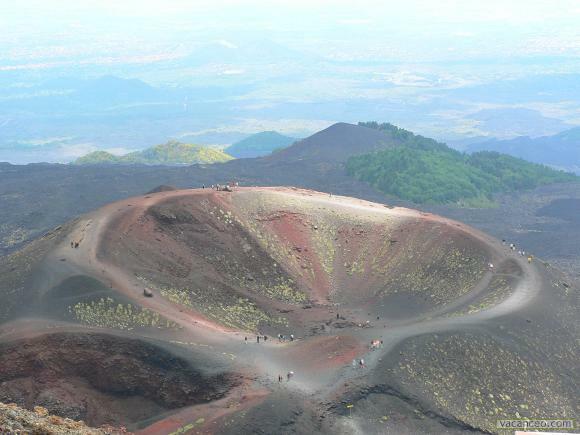 Due to its history of recent activity and nearby population, Mount Etna has been designated a Decade Volcano by the United Nations. 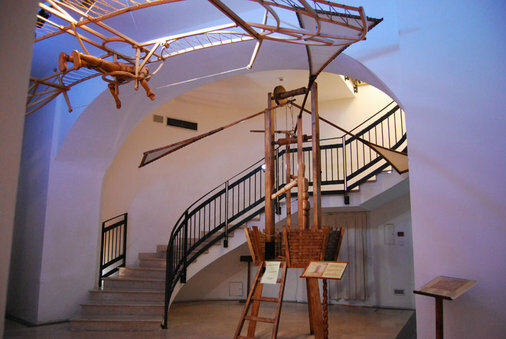 Mount Etna is an active stratovolcano on the east coast of Sicily, close to Messina and Catania. 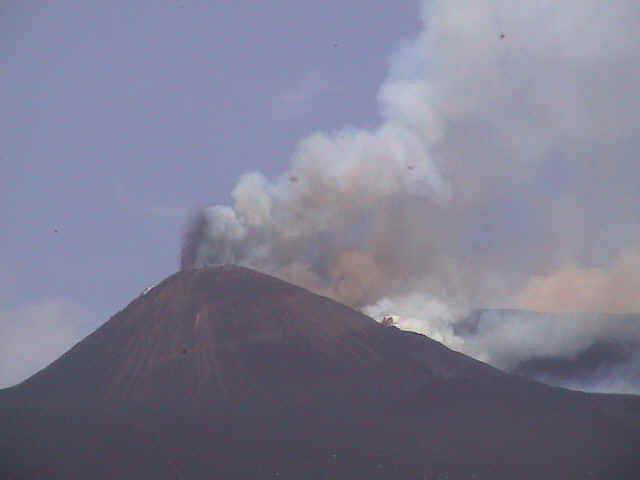 Its Arabic name was Jebel Utlamat (the Mountain of Fire). 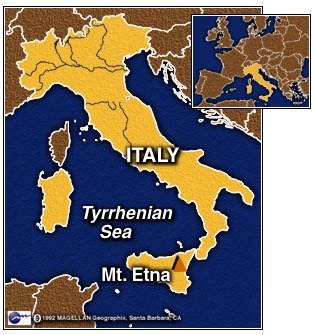 Read more: Volcanoes In Italy, All Located In The South Of The Country. 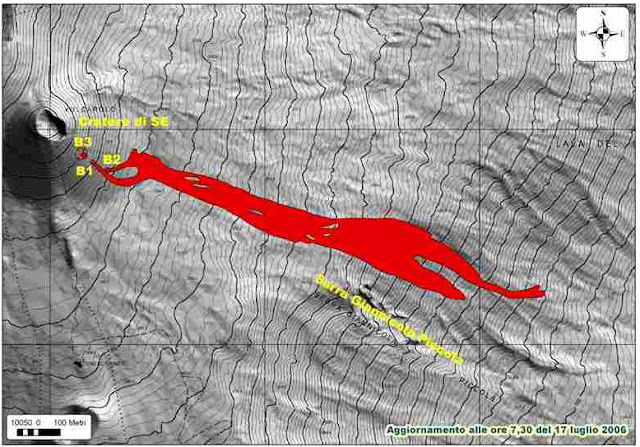 Etna covers an area of 1,190 km² (460 sq mi) with a basal circumference of 140 km. This makes it by far the largest of the three active volcanoes in Italy, being about two and a half times the height of the next largest, Mount Vesuvius. 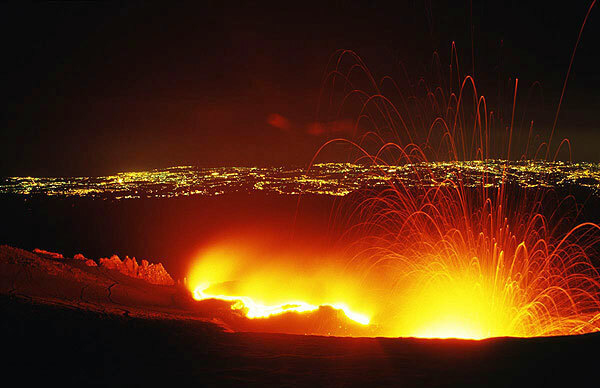 Volcanic activity first took place at Etna about half a million years ago, with eruptions occurring beneath the sea off the ancient coastline of Sicily. 300,000 years ago, volcanism began occurring to the southwest of the present-day summit, before activity moved towards the present center 170,000 years ago. Eruptions at this time built up the first major volcanic edifice, forming a strato-volcano in alternating explosive and effusive eruptions. 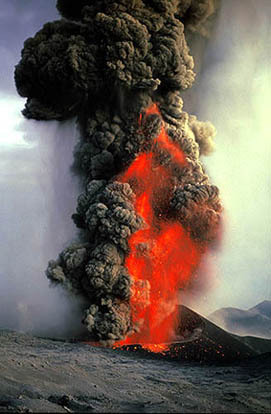 The growth of the mountain was occasionally interrupted by major eruptions leading to the collapse of the summit to form calderas. Thousands of years ago, the eastern flank of the mountain experienced a catastrophic collapse, generating an enormous landslide in an event similar to that seen in the 1980 eruption of Mount St. Helens. The landslide left a large depression in the side of the volcano, known as 'Valle del Bove' (Valley of the Ox). Research published in 2006 suggests that this occurred around 6000 BC, and caused a huge tsunami which left its mark in several places in the eastern Mediterranean. It may have been the reason that the settlement of Atlit Yam (Israel), now below sea level, was suddenly abandoned around that time. 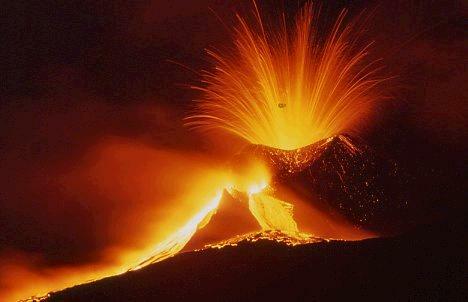 In 1669, Mount Etna released a furious torrent of lava, toxic gases and pyroclastic materials in a historic volcanic eruption. 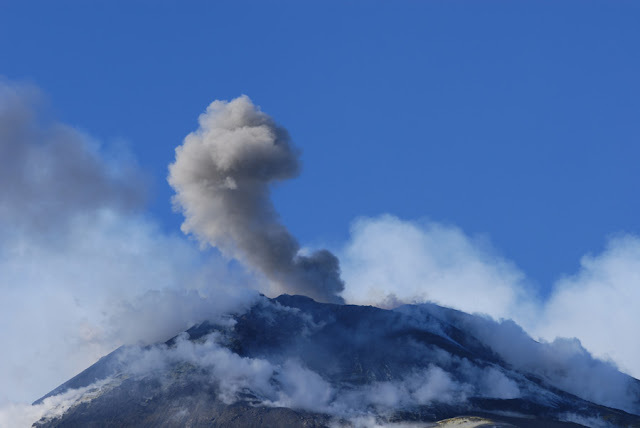 For four months, an extraordinary amount of molten hot rock emerged from two deep fissures on Etna’s southern slope near Nicolosi. The slow but undeterred lava completely destroyed many towns in its path and even reached Catania, Sicily’s second largest city, some 18+ kilometers away. The 1669 eruption was well recorded by numerous written accounts, in paintings and drawings, through local lore and oral history. Thanks for your comment and for contributing to expand the content of the post.